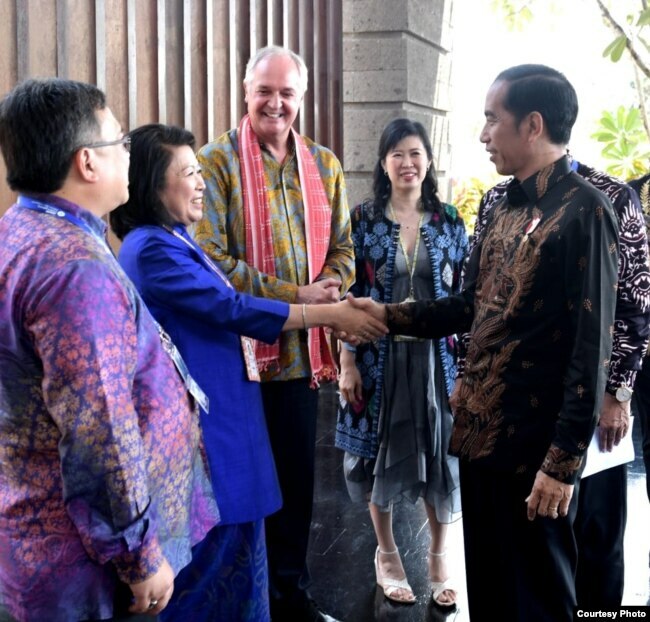 Presiden Joko Widodo berpose bersama peserta “Bali Fintech” salah satu acara di sela-sela pertemuan tahunan IMF-Bank Dunia di Badung, Bali, 11 Oktober 2018. (Sumber: VOA Indonesia/courtesy: Setpres RI.). Presiden Joko Widodo berjabat tangan dengan tamu undangan yang hadir di “Bali Fintech” di sela-sela Pertemuan Tahunan IMF-Bank Dunia, 11 Oktober 2018. 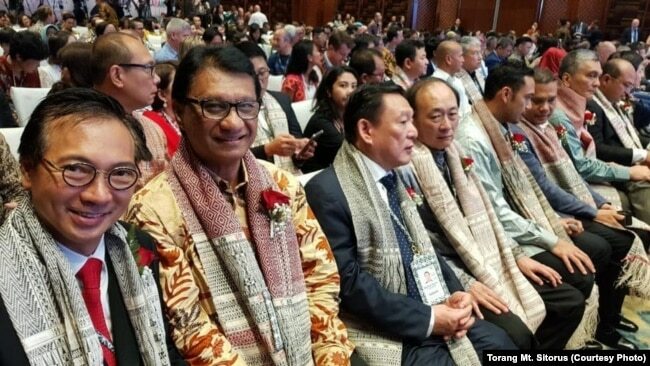 (Foto courtesy: Setpres RI). While visiting the Indonesia pavilion at the #IMFMeetings, I was amazed by the richness of the country’s cultural heritage. Listening and learning from the local artists reminded me that creativity and beauty are powerful forces that keep us together, no matter where we are from.